Promote your business or product with premium Matte hang tags. You can include relevant information including product details and instructions, prices or tell a short story about your company or brand. 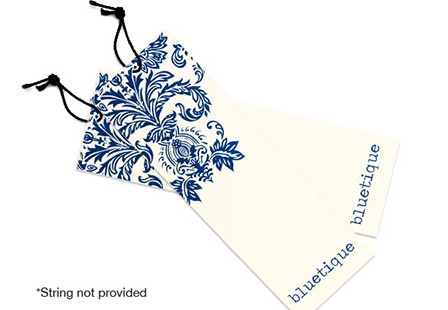 Custom hang tags are ideal for jewelry, clothing, gifts, party favors, specialty jars, gift baskets, and more. Choose from a large selection of printing options to meet your needs.